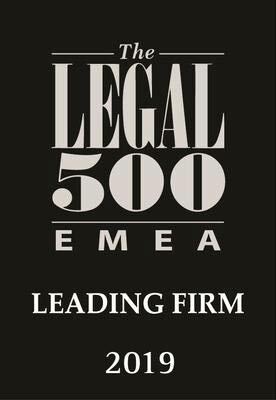 The Legal 500 Europe 2019 guide has recognised Kirm Perpar as one of the leading Slovenian law firms. Published annually, the Legal 500 rankings highlight the practice area teams and practitioners that provide the most cutting edge and innovative advice to corporate counsel. Research is based on feedback from clients worldwide as well as interviews with leading private practice lawyers. Legal 500 published: "Kirm Perpar focuses on corporate (including M&A) and commercial work. Recent highlights include assisting RSBC group with its €5m acquisition of a tourism facility, and advising Adidas on various commercial agreements, compliance issues and internal policies. Andrej Kirm and Matej Perpar are key contacts. Jan Gorjup made partner in August 2018."